New Releases for August that I’m SO EXCITED ABOUT! The end of August is set to be super busy. Of course so many books are released every day. But sometimes there is a couple of weeks where you find you have several books on pre-order coming all at once. I love/hate these weeks. I never know where to start, and my fan-girling gets WAY out of control! I sometimes hyperventilate. Jump around for no reason. Squeal – I never, ever, squeal. But you know what, the end of August is making me do all of these things. I’ll tell you why. On the 18th of August we have Before We Were Strangers by Renee Carling coming out. I have seen a lot of hype surrounding this book, the concept is intriguing and the cover is really pretty. Though I have never read anything from this author before, Colleen Hoover recommends it, and I love to put blind faith behind my fave authors. So it must be fantastic! We met fifteen years ago, almost to the day, when I moved my stuff into the NYU dorm room next to yours at Senior House. You called us fast friends. I like to think it was more. We lived on nothing but the excitement of finding ourselves through music (you were obsessed with Jeff Buckley), photography (I couldn’t stop taking pictures of you), hanging out in Washington Square Park, and all the weird things we did to make money. I learned more about myself that year than any other. Yet, somehow, it all fell apart. We lost touch the summer after graduation when I went to South America to work for National Geographic. When I came back, you were gone. A part of me still wonders if I pushed you too hard after the wedding… I didn’t see you again until a month ago. It was a Wednesday. You were rocking back on your heels, balancing on that thick yellow line that runs along the subway platform, waiting for the F train. I didn’t know it was you until it was too late, and then you were gone. Again. You said my name; I saw it on your lips. I tried to will the train to stop, just so I could say hello. After seeing you, all of the youthful feelings and memories came flooding back to me, and now I’ve spent the better part of a month wondering what your life is like. I might be totally out of my mind, but would you like to get a drink with me and catch up on the last decade and a half? 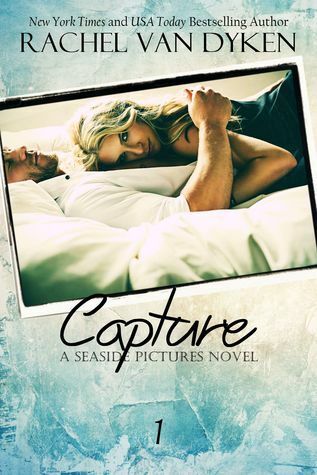 Next up we have Capture by Rachel Van Dyken release day 20th August. This book is not up for pre-order in Amazon yet, but I will post as soon as It becomes available. I love Rachel Van Dyken, She is hilarious and her Seaside Series was seriously addictive. I have read a lot of her work and loved Every. Single. Book. This book is a spin-off of the Seaside series and I can’t wait to dive back into that world, I love the AD2 boys and all the other characters she has bought to life through these books. Losing your ability to speak at the age of seventeen; it’s not normal or fair.But trauma, has a way of throwing normality out the window. Next – They just keep coming! Releasing on the 25th August we have Fallen Crest University by Tijan. I Love Tijan. The Fallen Crest High books I found so full of drama I just couldn’t put them down. Even once I finished I couldn’t put them down, rereading them 3 times in a row. In order to read this book I suggest you read the first four, as this is the long awaited end to this series, which really explains my excitement. I CAN’T WAIT! 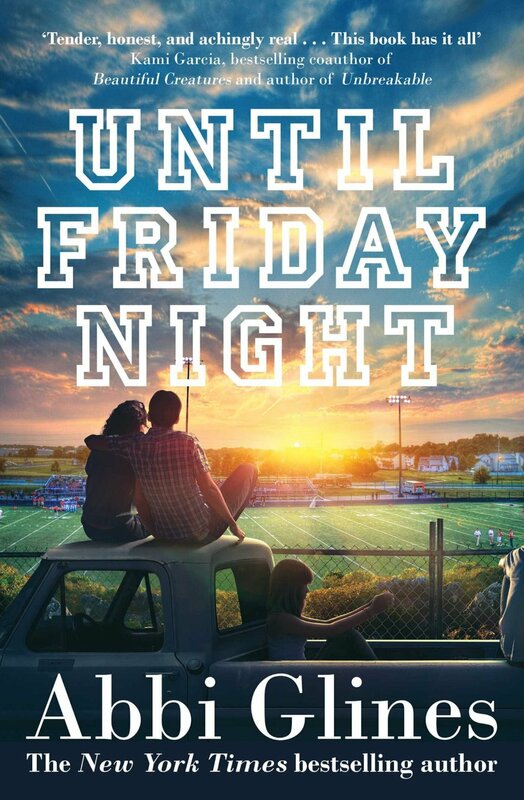 Until Friday Night is Abbi Glines new young adult series. Also releasing on the 25th August. This is book one of a series. I personally love Abbi Glines work, not only is she a great author but she seems like such a sweetheart. Her Sea breeze and Rosemary beach series being my favorite of her books, I also thoroughly enjoyed her Existence Trilogy as well. So I really grab hold of whatever she releases. I already know I will love it, question is just how much. To everyone who knows him, West Ashby has always been that guy: the cocky, popular, too-handsome-for-his-own-good football god. But on the inside he’s grief-stricken – his father is dying and he hasn’t told anyone because he can’t face the truth. Now, as his pain grows unbearable, West finally decides he needs to talk to someone about his dad. So in the dark shadows of a party, he tells the one girl who doesn’t speak everything he can’t tell anyone else. West expected to feel relief, a flood of emotions – but what he didn’t expect was for Maggie Carleton to reply. For her to reveal a pain even deeper than his own. And, for them to form a connection so strong that he couldn’t ever let her go. Last of all, and not actually in August, but I couldn’t resist. Nalini Singh is releasing her most recent Guild Hunter book. Archangels Enigma is up for pre-order and will be released on 3rd September. I picked up Angels Blood in a paperback bin at Whitcoulls while I was at work one day. It was an impulse buy when I had nothing to read while on my break. 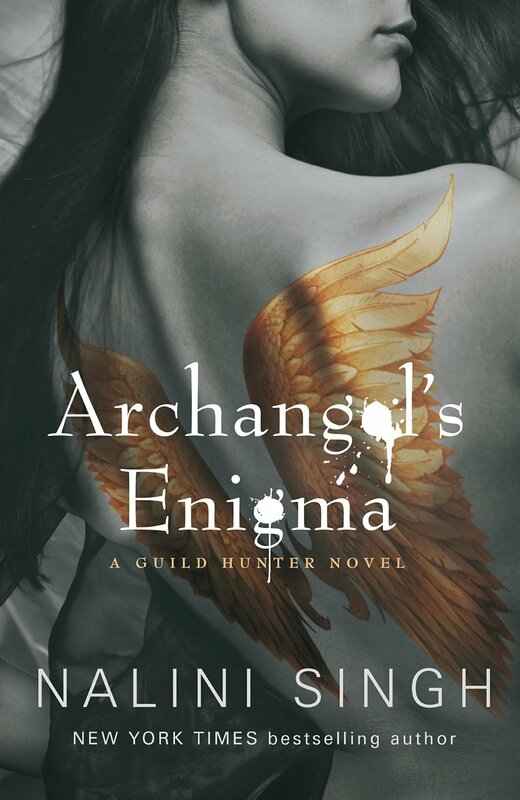 The Guild Hunter books are fantastic, with Archangels Enigma being book 8 in the series you can read them as stand-alone books, but it would be beneficial for your own understanding to read them in order. I was hooked from page one of Angels Blood. I fell into Nalinis world of Angels and vampires (have I mentioned I am very skeptical of vampire books) and I fell in love with the world she created. These books are, by far, my most favorite books of this genre. On a side note, I have also met Nalini Singh, at her book signing. Something we don’t have often in NZ. She’s so lovely. As the only author I have had the pleasure of meeting it was a wonderful experience. So don’t miss out on these great Romances coming out this month, jump on the pre-order button to make sure you get the release day special prices. Stay tuned for the reviews, the will be coming, I wont be waiting long to read these once they arrive.